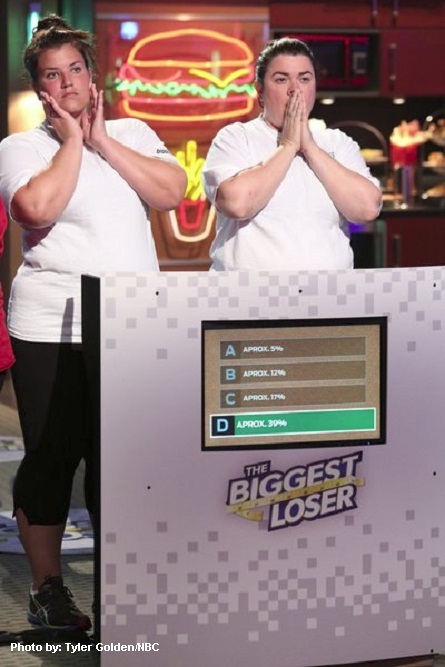 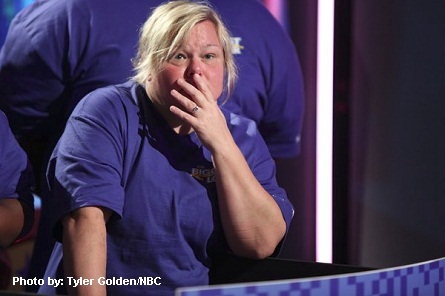 THE BIGGEST LOSER season 14, episode 3 will feature contestants in a trivia game where they will be tested on their knowledge of childhood obesity. 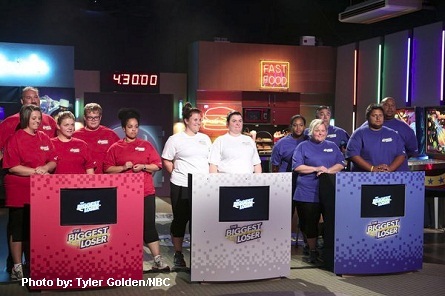 Also in this episode, Dr Joanna Dolgoff will visit the children at their homes to help their families also “Cut the Junk” out of their daily lives and eating habits. 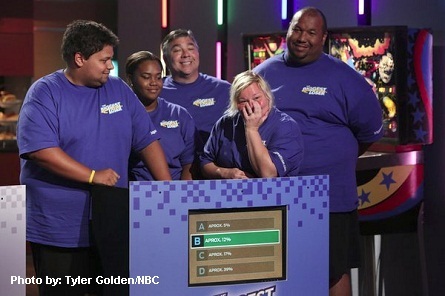 Below are some fun photos from the “Cut the Junk” episode where contestants are in a game show setting to play the trivia game. 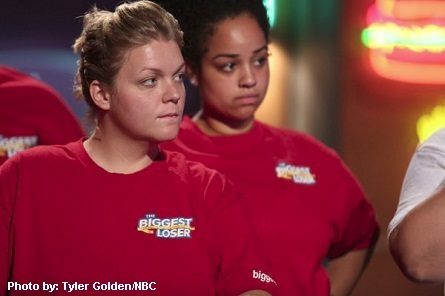 “Cut the Junk” episode airs January 13 on NBC. 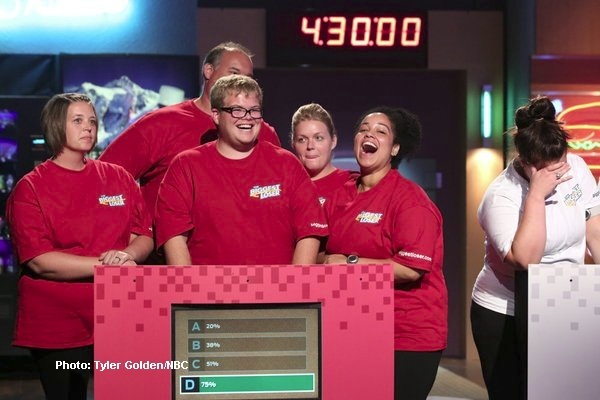 Pictured: (l-r) Lisa Rambo, Joe Ostaszewski, Jackson Carter, Cate Laughlan, Francelina Morillo, Danni Allen.